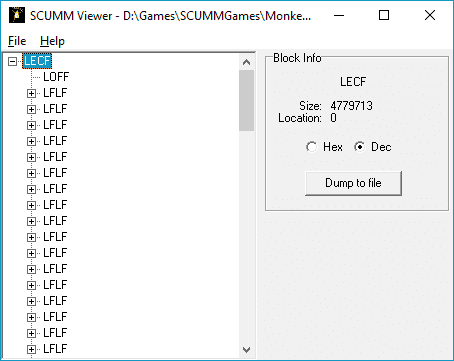 Basic tool to view the blocks in SCUMM V5-8 datafiles and dump them. This was one of the very early SCUMM related programs. SCUMM Revisited was originally based on this.